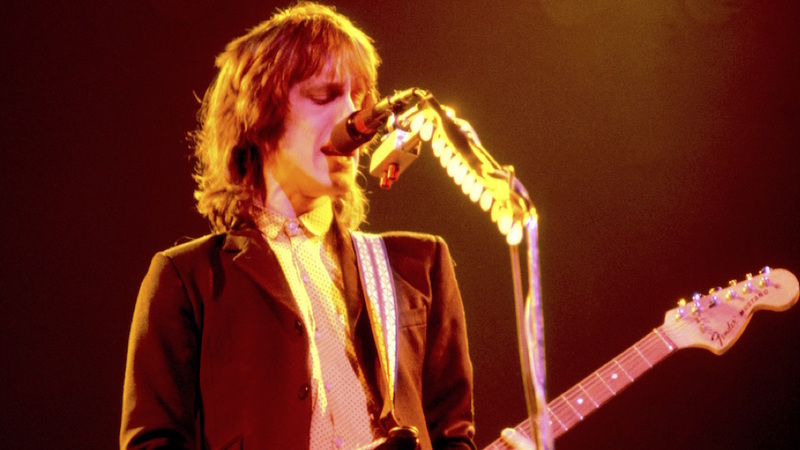 Todd Rundgren is one of my favorite artists. From his solo work to Utopia, to his independent productions, he has entertained multiple generations. Throughout his 50+ year career, he continues to challenge himself and his fans with regular releases of new material. If you’re a fan of songs like “Hello, It’s Me” or “We Gotta Get You A Woman,” you may want to consider the next generation of “Runt”-like music, namely a band called Astral Drive. We’ll get to them in a moment, but first, let’s scan just why Rundgren and his music has held up. Growing up outside of Philadelphia, Todd joined his first group in 1966. “Woody’s Truck Stop” was a blues-rock ensemble that Rundgren became a member of before forming the Nazz, a garage rock quartet that released two albums in the late 60s. There was Nazz & then Nazz Nazz, the former featuring the first recorded version of “Hello It’s Me.” Rundgren left the band in 1969 and began an educational journey in studio engineering and recording. He produced bands including the American Dream & Great Speckled Bird, which led to his work on a Jesse Winchester album and subsequent production on The Band’s 3rd album, Stage Fright. With some production experience under his belt, he formed a new group called “Runt” with Hunt & Tony Sales. Now signed to Ampex Records, Runt’s debut spawned a Top 20 hit with “We Gotta Get You A Woman.” It became clear that by the 2nd album the “Runt” moniker was just a pseudonym for “Todd” so by late 1971 he began working on what would be his first proper solo album, Something/Anything? Written, recorded and produced by Todd, it reached #16 in Spring 1972. He placed it side 1, track 1, the way Motown would showcase their artist’s lead hit, and it sets the tone for the album’s listening experience. Joyous and sprightly with piano, drums and bass popping along, it immediately conjures up the feeling of childhood freedom, riding Huffy bikes with a Kool-Aid-stained t-shirt and a Tom Seaver baseball card flapping in the spokes. As Todd breaks in with a George Harrison-inspired slide guitar solo he finishes with one more verse and ends this power-pop confection with a loop and fade of “in..my..eyes” – a Carole King-inspired melange of chords and harmonies. So if you like Todd Rundgren’s “I Saw the Light,” you may like Astral Drive’s “Love Is Real.” As a crate digger (like me), you’re constantly trying to find obscure music, albums that are lost in time. The band, Astral Drive, has done all of us a favor because their debut sounds like an unreleased Todd Rundgren album, nestled somewhere in the chronology between A Wizard, A True Star and Todd. The song, “Love Is Real,” is the key track that opens up the listener to the Astral Drive experience. It fades in with an ethereal sonic wash as the opening chorus, sung acapella – “Love is real. Love is true…” fills your eyes with the beauty of a sunny morning. Then this 3-minute ode to first love bursts through amid a swirl of synth licks surrounding a piano-based pop hook that sticks in your ears long after the song fades out. As I later learned, Astral Drive is the brainchild of producer/performer Phil Thornalley. The band’s name is a tribute to the street Todd lived on in L.A. when he started recording Something/Anything? I knew of Phil’s work as the bass player on The Cure’s “The Love Cats” and as a producer on some of my favorite 80s’ pop: Robbie Nevil’s “C’est La Vie,” Prefab Sprout’s “When Love Breaks Down” and The Quick’s “Bed Of Nails.” He even produced Natalie Imbruglia’s debut which featured her monster #1 hit, “Torn,” a song Phil co-wrote and originally recorded years before… in Danish. But none of that prepared me for the sheer pop beauty of “Love Is Real” and Astral Drive’s album, in what turns out to be a loving tribute styled after and inspired by early 70s Todd Rundgren. So immerse yourself in this album, break out that Huffy and ride it down Astral Drive. First you have Greta Van Fleet sounding just like Led Zep, and then these guys sound like Todd. What’s happening?! Philadelphia-flavoured Todd-like tune with some Gregg Alexander ‘New Radicals’ and Laura Nyro on the side . Xzactly!! Love Phil’s piano playing. Looking forward to what he does next!